Undoubtedly one of NZ's most active Irish republicans is Napier born writer, Dean Leo Parker. In 1968, Parker was involved in the 1968 Wellington march protesting the nil wage award which almost ended in the storming of Parliament. By 1969 Parker was living in London. While of mainly Irish ancestry, he knew little of the Irish struggle until "troubles" began that year in Northern Ireland. On August 21st, Parker joined a 5,000 strong London march which ended in a riot outside Ulster House in Berkely Square. Petrol bombs were thrown and the rioters were charged by mounted police. The march was organised by the Northern Ireland Civil Rights Solidarity Campaign, a front for the International Socialists (now known as the Socialist Workers Party) a militant Trotskyist organisation. Parker joined the NICRSC and immersed himself in literatue on the Irish struggle. Parker continued his involvement with the IS into the early'70s', attending branch meetings in West London, with his old Napier friend, Blair Peach. Peach, active in the IS's Anti-Nazi League was later killed while participating in a 1979 anti National Front rally. By 1975, Parker was back in NZ. Horrified at the election of National Prime Minister, Rob Muldoon, Parker joined the pro-Soviet Socialist Unity Party and quickly became chairman of its Auckland City Branch. He was active in the Campaign for an Independent East Timor and played soccer for the Halt All Racist Tours team. 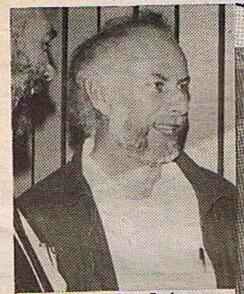 In July 1977 he penned the first of many articles on Ireland for the SUP's paper, "Tribune". By the late '70s the SUP had determined to infiltrate and ally with the Labour Party. Parker couldn't stomach cuddling up to the social democrats so he resigned from the SUP in 1978, though he remained a supporter well into the late '80s. In 1979 Parker travelled to Northern Ireland, visiting West Belfast and trouble spots like the Falls Road. 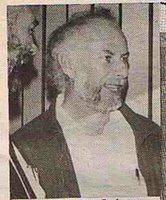 Back in NZ, Parker helped form H Block/Armagh in 1980/81 as a support group for republican prisoners in Irish jails and the movement in general. Later known as information on Ireland, Parker served on the editorial board of the organisation's publication "Saoirse" from 1982 to its demise in 2000. H/Block and IOI held marches, pickets, teach-ins, produced pamphlets, showed films, broadcast a weekly radio programme and formed an Irish rebel band-"Ourselves Alone". Parker contributed regular articles on Ireland and H Block activities to the SUP's "Tribune" until the party split in 1990. In 1991 Parker was a member of the Editorial Group of the socialist journal "Agenda" alongside some former members of the Workers Communist League and future Green MP, Keith Locke. At Easter 1994 Parker spoke at "Socialism 94" in Auckland, a gathering organised, by Grant Morgan's Socialist Worker, the NZ counterpart of Parker's old comrades in the British Socialist Workers Party. In April 2003 he contributed an article on Northern Ireland in "Red Flag", the newsletter of the Socialist Party of Aotearoa, a split from the defunct Socialist Unity Party. In recent times Parker has been active in the Workers Charter Movement, a joint project of Socialist Worker, SPA, John Minto's Global Peace and Justice Auckland and Matt McCarten's UNITE union. Parker has worked as a writer for much of his life and has been prominent in his union, the NZ Writer's Guild. Parker has written for the stage (Two Fingers From Frank Zappa, Slippery Opera, Great Expectations, The Feds, Smack, Baghdad, Baby! ), radio (Joe Stalin Knew My Father ,Engels F: A History of the Ould Sod, Strike! Waihi, 1912, Strike! Auckland Relief Workers, 1932, Strike! Hellaby´s, 1942), for film (Came a Hot Friday, Old Scores) and TV (Buck House, Close To Home, Roche, Mortimers Patch, Share The Dream, Bettys Bunch, Just Slightly, A People Apart: The Irish in NZ, Street Legal ). In 1990 Parker wrote and directed play on the '51 Waterfront strike "Shattered Dreams". The play was produced by the Trade Union History Project in association with the Short Film Fund of the NZ Film Commission. He also contributes to the "Listener" and the "New Zealand Herald". Parker makes no bones about his Marxism-Leninism and injecting his politics into his art. "Even the seemingly innocuous comedy of Came a Hot Friday had, I reckon, a sound political base: it was deliriously materialist..." "I would describe myself as a class-conscious writer. I'm with Lenin. I'm for the working class seizing control of the wealth it creates, for the replacement of parliament, the army, the police, the judiciary - all those deadly manacles of state control - with workers' committees and militias, and all this done as part of a world-wide struggle.."
"Struggle". How these types just love that word.In a way I s'pose it actually does describe their own lives.Stuggling to be heard in their large families,as children.Struggling with their sense of identity,struggling with a world that is "always against them",no suprise really that they continue to struggle,particularly in their vain attempt to force the world around to their twisted view of reality.